Some Southern Illinois University students aren’t happy with the school’s decision to have Gov. Bruce Rauner as a keynote speaker at next month's graduation ceremony. In a recent petition, students at the university’s Carbondale campus expressed their displeasure with Rauner’s scheduled appearance, calling for him to be replaced. 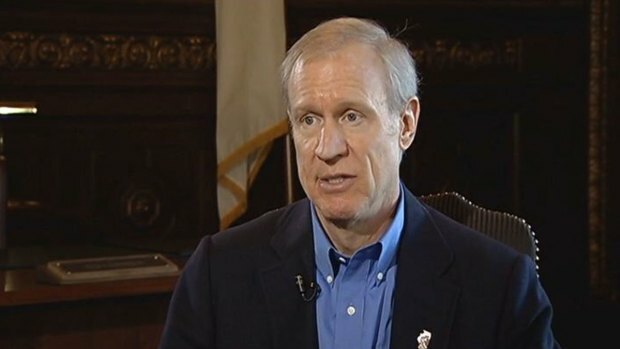 Rauner, who is scheduled to speak at the 1:30 p.m. ceremony on May 16, has faced criticism over recent budget cuts after he announced a 31 percent reduction in state funds to the public university’s budget. Gov. Bruce Rauner has a big agenda and, as legislative colleagues say, a bit of a learning curve. NBC Chicago's Mary Ann Ahern reports. The $400 million in high education cuts are part of the governor's $32 billion budget proposal presented earlier this year, which aims to bridge a $6 billion budget gap next year without raising taxes. Officials from Southern, Western and Eastern Illinois Universities said the cuts could not be offset by drastic tuition increases, a move they fear would drive down enrollment and force the schools to function as private entities. "Being an elected official is difficult," Rauner said Monday during a one-on-one interview with NBC 5's Mary Ann Ahern. "I've had to make some decisions that won't make me Mr. Popularity. That's OK."
Rauner said he hopes students' tuition is more affordable and that they "get great jobs here in Illinois." Rauner has said that universities will need to look at their own budgets and have built up staff, along with bureaucracies over the years, noting he will give them flexibility with the cuts. But university officials said that the plan would cut the institutions to the bone marrow. Southern Illinois University President Randy Dunn said a proposed $44 million cut to the Carbondale campus and another $20 million cut to the university's Edwardsville campus would jeopardize some of the school's "signature majors" including its flight school and pharmacy program. Dunn said the reductions could also force as many as 1,000 course sections to disappear. SIU-Carbondale’s commencement website was updated last week to include Rauner as a ceremony speaker. By Friday, a petition on Change.org was created calling for him to be replaced. As of Monday morning, the petition had nearly 2,000 signatures.